Winter Olympics: What now for 2022 after Norway pulls out? 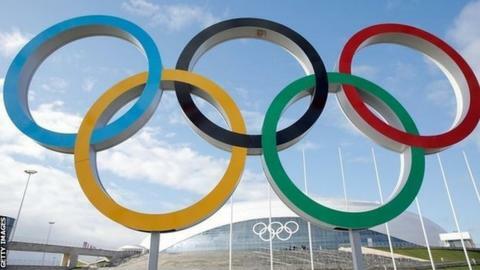 Norway's decision to pull out of the bidding to host the 2022 Winter Olympics in Oslo leaves the International Olympic Committee (IOC) with only Almaty in Kazakhstan and Beijing in China to choose from when it meets next year. Many will see that as not much of a choice at all. According to campaign group Human Rights Watch, Kazakhstan's record on human rights is "poor" and that "torture remains common in places of detention". China, meanwhile, remains an "authoritarian, one-party state" which "justifies human rights abuses as necessary to preserve 'social stability'". This is not what the IOC needed after so much controversy surrounding the selection of Beijing for the 2008 summer Games and Sochi for the 2014 winter version. Add two World Cups in Russia and Qatar, and a certain theme seems to be developing when it comes to the world's biggest sporting events. So why did Norway say 'no thanks'? It says a lot when Norway decides against hosting such an event. The country has more winter medals than any other nation. Oslo, the capital, hosted the 1952 Winter Games and Lillehammer staged them in 1994. But after Sochi's mind-boggling $51bn (£31bn) price tag, Norwegian public opinion was divided. Norway's parliament reflected this on Wednesday, refusing to grant the required government financial guarantees, despite the IOC providing $880m (£544m) to help stage the Games. Maybe this was no surprise. The IOC's astonishing 7,000 pages of demands - including meetings with the king, VIP cocktail parties and dedicated traffic lanes, as revealed by newspaper VG - did not go down at all well in Norway. Where next for the winters? There were originally six cities interested in staging the 2022 games but Lviv in Ukraine, Krakow in Poland and Stockholm in Sweden all pulled out. Potential bids from Germany and Switzerland failed to materialise amid a lack of popular support. Oslo was the IOC's preferred candidate. It had scored highest on technical assessments. It would have won. The IOC's uncharacteristically aggressive response to this snub is revealing, calling it a missed opportunity for Norwegians and claiming the country failed to send senior officials to important meetings. Politicians made a decision based on "half-truths and factual inaccuracies", according to a furious Christophe Dubi, Olympic Games executive director for the IOC. After heading to Pyeongchang in South Korea in 2018 and Japan's capital Tokyo in 2020, the IOC will now be forced to turn to Asia for a third time in a row and allow Beijing to become the first city to host both summer and winter Games. What is clear is that western countries are increasingly concerned about the cost of staging such events. Sochi has simply scared many off. Reducing the cost of bids was already a priority for IOC president Thomas Bach, and now we can see why.